For GPS, please use "8675 South US Highway 17 92, Maitland, FL 32751"
Take Exit 90-A on East Maitland Blvd. Bear right on 17 92 to Roger's Corvette Center at 8675 N. Orlando Aveune. 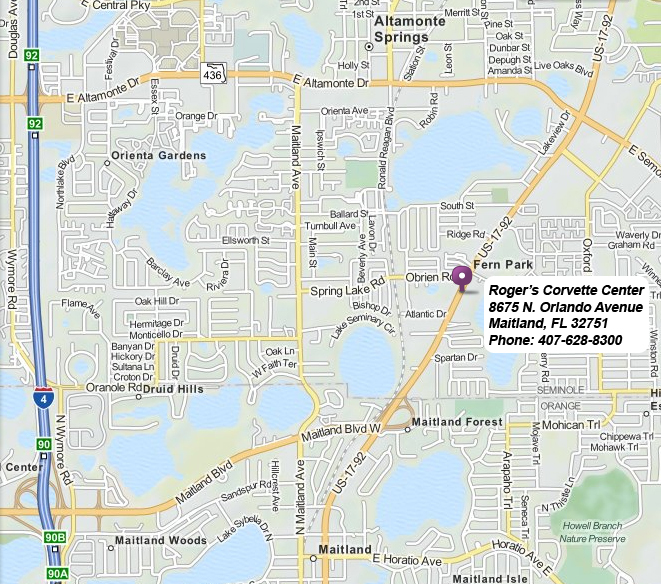 For GPS, please enter our address as "8675 South US Highway 17 92, Maitland, FL 32751"